Recently, a small business owner commented that many self-employed tradesmen are still successful despite not having any online presence. He saw that they just go about their business, getting the job done without having much idea about social media and the latest trends in online marketing and strategy. So, he put forth this provocative question: is an online strategy even necessary in the first place? Wouldn’t traditional word-of-mouth suffice? At first glance, there may seem to be some truth to that. Unlike IT workers, self-employed tradesmen can’t be easily replaced by anyone physically far away. Competition is limited by their peers in the local area. Hence, most of their work is acquired from word-of-mouth within the local community. In a sense, this is an advantage that seems to shield them from the ravages of the Internet that is plaguing other industries. 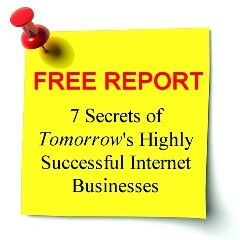 As a result, most of them carry about their businesses completely ignoring the Internet. But I have bad news for them! On one side, the Google horde is heading their way. On the other side, consumer behaviour is shifting. In military jargon, this is a classic pincer movement. Many military units were defeated because they are not aware that the enemy is enveloping them with the pincer movement. When they realised that, it was often too late. In the same way, tradesmen who aren’t aware of this dual trend will be disadvantaged by their peers who are. Mapping systems matter on phones precisely because they are the interface between the offline and online worlds. If you’re at all like me, you use mapping more than any other application except for the communications suite (phone, email, social networks, and text messaging). What is happening is that Google is taking the world’s physical information and making them accessible from the Internet. Not only are these information merely accessible from the Internet, Google is applying their search algorithms on them. To do that, they are combining the conceptual world into the geographical world onto their maps. For example, restaurants, schools, buildings, shops, petrol stations exist in the context of their physical location represented in Google Maps. One of their services, Google Places, is to help businesses owners list on their mapping application. Whoever controls devices that have these 3 technologies will have a very powerful influence on consumers—they have the power to direct consumers within a specific range of a local business towards it. For example, Google, through its control of Android smartphones, has the capability to direct people who are within a few kilometres from a local tradesman to his business. In Australia, smartphone penetration has risen to 52%. That means that Google is bringing their search engine to the palms of half the population. These people will be able to do an online search at any time they fancy. Most of their smartphones will have technologies to determine their physical location (whether by GPS or mobile phone towers triangulation). This location-aware technology will enable consumers to instantaneously find nearby businesses who can provide the goods/services they need. Make no mistake, consumers behaviour is changing to the point that doing an online search has become a reflex whenever they need something. They are much less likely than before to ask their mates if they know of any good nearby tradesman because it is too slow compared to doing an online search on their smartphones. In other words, the word-of-mouth referrals that they’ve come to rely on for work will be getting less and less reliable. Are you listed where you can be found? So, does your business have an online presence (i.e. website) or location-listing? Posted in Slider, Strategy and tagged Google Maps, Google Places, GPS, Internet marketing, local.